My name is Ray Goodfellow and this is my website. I was born, raised and live in the port town of Dover, Kent, here in the United Kingdom. I have had a keen interest in all things nautical for as long as I can remember and this website has been developed on the back of that interest. This site has grown massively over the years and nowadays it is not just about me. 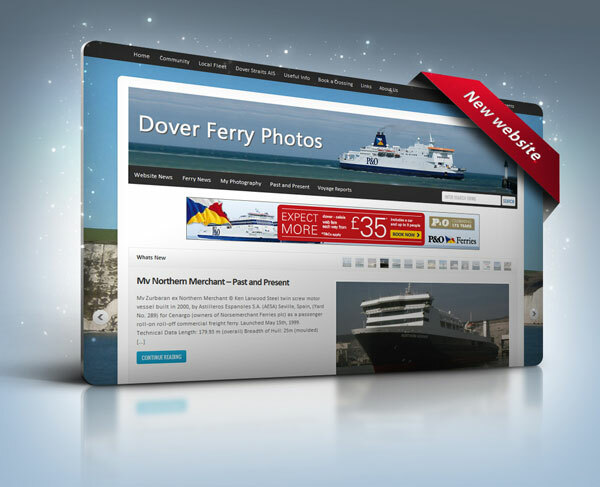 With over 100 photographic contributors and numerous friends and followers on the social networks the site has grown to become an on line reference for those interested in the Port of Dover and the vessels that have served it over the years. 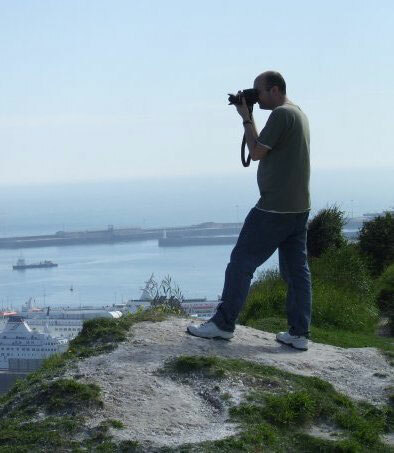 I have been an amateur photographer for around 15 years now having received my first camera on my 18th Birthday (seems like a very long time ago now). That camera was a Pentax ME Super SLR with an assortment of different lenses. As for all teenagers, the advent of digital was a god send, especially when it came to film developing costs! After a succession of digital camera’s over the last few years I am now using a Canon EOS 550D DSLR as my primary camera and a Panasonic Lumix DMC FZ100 to produce photographic material for this website. With regards to my photography this is defiantly a hobby and not a business. To coin the phrase of a close friend, I am a `happy snapper’. I enjoy the fresh air and the solitude in photography, its my escape so whenever I am out walking I always have a camera with me. Having lived in Dover all my life I have never been more than 30 minutes walk from the sea. Its a lovely place to go just to forget the binds of life and relax with the fresh sea air. My story of maritime interest starts when I was four years of age when my mum married my late step father Alan ‘Gunner’ Sugden. Alan was a second officer working for Townsend Thoresen on the ferries sailing from Dover. Alan retired from the ferries in 1988 and as a part of his retirement package he was given concessionary fares to travel, which we all took advantage of. It was through my love for the ferries and being at sea that photography and the maritime scene welded together. It was during this time I started collecting the books of Ferry Publications, it was actually thanks to John Hendy’s book ‘This is Folkestone and Dover‘ that I thought I would give photography a go. With my step sister being a graduate of the Kent institute of art and design and running her own graphic design business she was able to give me a lot of pointers in the field of photography. Alan died in 2003 and his ashes were scattered at sea from the Pride of Kent, so when ever I am out doing photography I always feel he is with me, looking out for me. Having had an interest in technology since an early age and having gained internet access in early 2001 I realised there were other people out there in `cyber space’ interested in ferries and photography. It was through visiting sites such as Faktaomfartyg, Irish Sea Shipping and Gary Andrew’s Yahoo groups that I decided to have a go with building a website using Yahoo Geocities online page builder. This website was originally conceived as a place I could share my recent pictures with friends and family. Due to the bandwidth restrictions associated with a free Geocities account and having acquired MS FrontPage and an idiots guide book in 2004 I decided to set myself a project of designing a small site and publishing it to my internet service providers 50 megabytes of free web space. In the early days it wasn’t easy as I didn’t really have a clue with what I was doing! Eventually the site started to evolve as my knowledge grew. 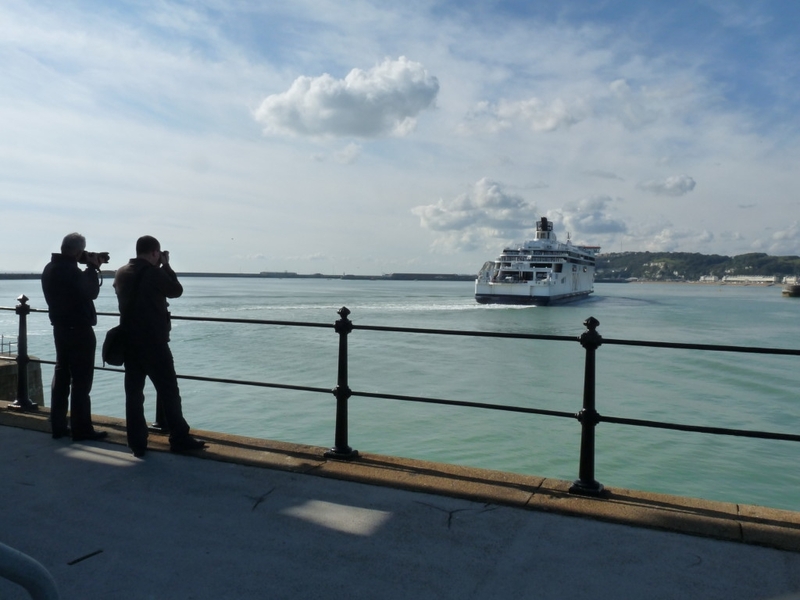 The aim of the site was to portray the comings and goings of the ferries in the port of Dover through my photography with a few news snippets that I had picked up along the way. It was at this time I started to host pictures from other people. The old site closed in January 2005 when I upgraded to a web hosting plan with 123-reg and acquired the domain name www.doverferryphotos.co.uk. Due to it’s ever increasing size the site was again transferred to a new hosting company in 2007. We are now hosted with Webfusion. The site then grew to 1.5gb of space and contained photographs of not just ferries but cruise ships and just about anything else which floated in the waters of the harbour. The site also featured news, timetables, internet links and vessel information from myself and a number of regular contributors. It was thanks to maritime photography and the maiden arrival of the Maersk Delft in February 2006 (affectionately known as ‘Delft Day’) that I met Nigel Thornton and a good friendship has since developed. In September 2006 Nigel started compiling the hugely popular Past and Present features. These features profile the history of an individual vessel through photographs and as much information as possible and have become the foundation of the site. In an effort to keep the wheels of the website turning and to try and keep up with newer web standards the website was completely rebuilt on the WordPress platform between March and July of 2012. The site is now fully optimised for the modern web with social interaction as well as all the sections from the old site that everybody has come to love. Additionally the site is now hosted on an unlimited hosting account which will hopefully get rid of some of the bandwidth issues we have experienced in the past. Would you like a cut away style illustration of the Spirit of Free Enterprise? It’s not a great scan but it might be something you don’t already have. If so drop me an email and I’ll send it to you.